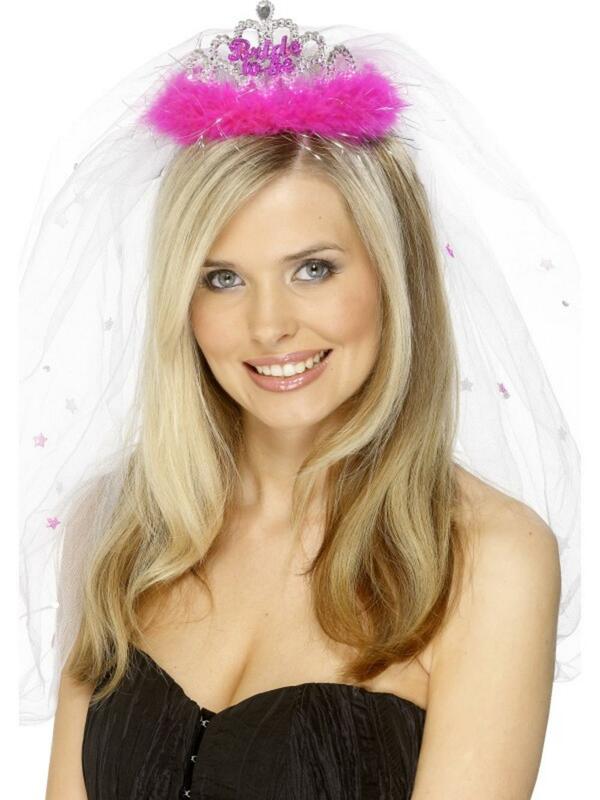 If you are organising a Hen Party and want to be the best Maid of Honour then pick up one of our fabulous Bride to Be Tiara and Veil Hen Party Sets to get the party started. Features a silver coloured tiara with pink 'Bride to Be' badge to the front and pink sparkling fur trim around the bottom. Attached to the tiara is a white veil with pink star decoration. A beautiful gift for the Bride at an upcoming Hen Party.